Scientists have spent years researching the possibility of water on the moon. They recently announced that they have four lines of evidence showing that the water exists at the poles. Using data from NASA’s Moon Mineralogy Mapper (M3) spectrometer experiment researchers from the University of Hawaii and Brown University found direct evidence of water. Where did they find it? They found it in permanently shadowed areas in the moon’s polar craters. What are these permanently shadowed regions? The permanently shadowed regions are located on the moon’s poles. They lie deep inside craters where sunlight can’t reach. To view these areas, scientists use light that’s reflected off hydrogen atoms floating throughout the universe. Furthermore, that light that spreads in all directions, even hitting areas in the shade. This light, called Lyman alpha emission, shines in a particular, narrow wavelength band. “With the neutron data, we also know that these deposits extend into the subsurface. Therefore, we now have great maps that we can use to target prospecting surface rovers,” said Clive Neal, a lunar expert from the University of Notre Dame. What made scientists think that water existed on the moon in the first place? Scientists believed that water might be responsible for the fluffy dirt at the moon’s poles. In fact, small particles of water frost moving in and out of grains of dirt may result in more holes between the grains. This gave the fluffy dirt a porous texture. Studies from years ago found that dirt at lower latitudes had up to .05 percent water ice. These areas remain exposed to sunlight. Consequently, scientists believed that water could account for up to 2 percent of the dirt in the permanently shaded regions. The new research provides “robust evidence” for the presence of water ice on the moon’s surface, noted James Head. He commented from the Department of Earth, Environmental and Planetary Sciences at Brown University in Providence, Rhode Island. “If ice is at the surface, this means that much more could be buried at depth. Moreover, it may be covered and preserved below the insulating soil, or diffused into and frozen in the soil layers,” Head said. Having a water source on the moon would mean great advances for space exploration and travel. The exciting thing to see will be how much water exists and if they can extract it. Not only will that answer the questions related to setting up a settlement, but it may reveal more about the moon’s creation. 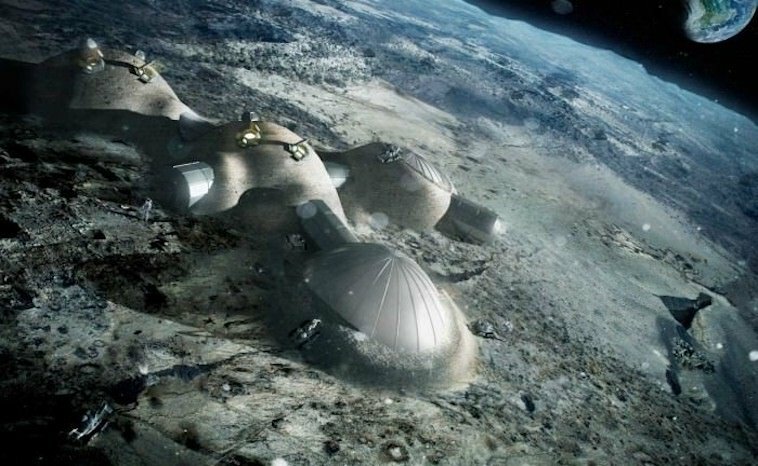 With a position on the moon, we may have developments internationally like those for the ISS. Furthermore, the reach of settlements could mean further development of technology, one that cultures could get behind.